An invisible source produced quiet, barely perceptible music. Eerily, there were no other people there. All alone, I sat down on a silk ottoman in enchanted reverie, and stared at a half-draped window enlivened by a starry night sky. The Lost Estate [by Alain-Fournier] came to mind. Only this estate, not far from the city center of Lisbon, where I was having a moment of pure bliss, was not lost. It was founded by Marquis de Valle Flor, born in 1855, who in his teen years moved to the islands of Sao Tomé and Príncipe in Central Africa, and became one of the largest producers of cocoa, and one of the richest men in Portugal. With the construction of this palace, the prosperous marquis established his family’s place in the country’s history – and created one of the most luxurious and significant dwellings in the capital city. I knew I was about to have the time of my life here (however briefly) when I’ve learned that the enchanted Pestana Palace Lisboa Hotel where I’ve settled for a couple of nights was classified as a National Monument due to its 1904 Nicola Bigaglia architecture, turn-of-the-century Carlos Reis ceiling paintings, and exquisite frescos, stuccos, stained glass designs and other decorative features, all lovingly restored at the magnificent Belle Époque building in a splendid location on a hilltop overlooking the Tagus River. 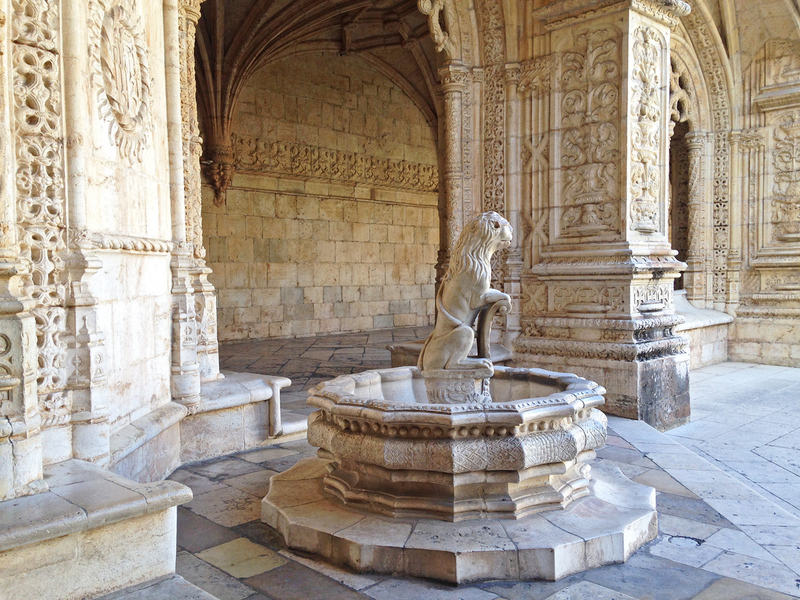 From here, I explored the eclectic beauty of Lisbon – the bustling metropolis with its medieval castle of St. George and carved stone monastery of St. Jerome, the Renaissance tower of St. Vincent and the Baroque Estrela Basilica. Every time, tired after enduring the winding narrow streets of Bairro Alto in the summer heat, I returned to my cool hotel room with a view of the lush gardens studded with bronze statues and gazebos, and hurried to one of the swimming pools – indoors or outdoors, depending on the weather whimsy of the moment. 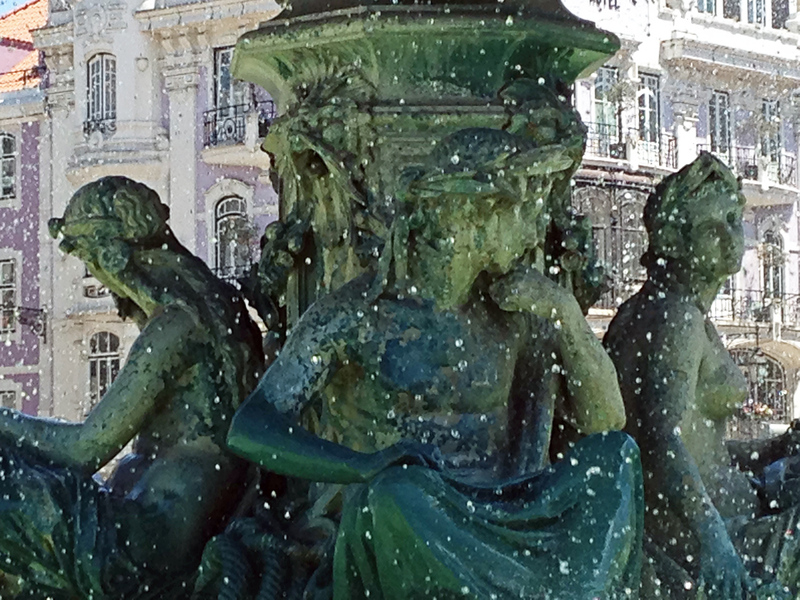 When in Lisbon, I discovered the singing soul of Portugal – the music of Fado – an original style and genre, approximately 200 years old, named after “fate” or “destiny” that is the major theme of fado lyrics. 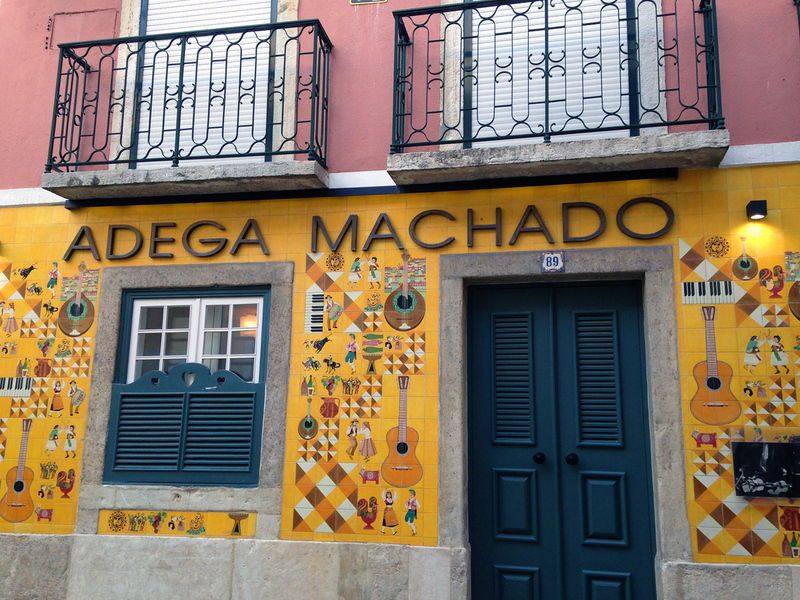 At Adega Machado in Bairro Alto I was treated to an amazing talent of Isabel Noronha. A singer of an incredible range and very distinct, passionate yet reserved style, Ms. Noronha captivated the audience with a heart-wrenching sincerity of her poignant expression of the tragic longing and unrequited love – obviously the themes of the songs she delivered. Fado songs are usually performed by strong-voiced solo singers, both male and female, with highly emotional expressiveness, accompanied by a Portuguese guitar and other instruments. The musicians also perform no-singing pieces with great panache and mastery. Fado performances, even though most often happening in restaurants, constitute a high art form, and require subdued lighting (candlelight), revered silence and undivided attention of their listeners. The overall ambiance at Adega Machado is very welcoming and accommodating for the international gusts. The original tavern has been founded 75 years ago by a fado singer Maria de Lurdes Machado and her husband, composer and guitarist Armando Machado. 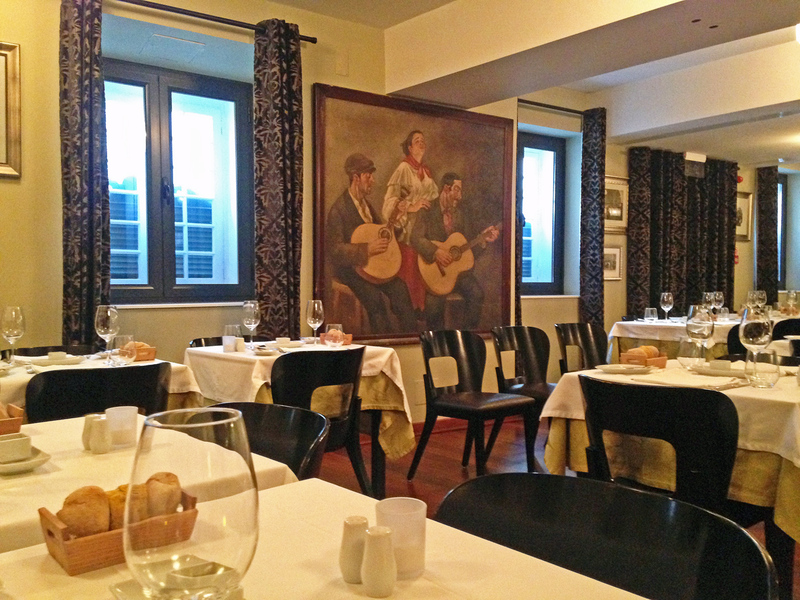 At the recently renovated and reopened upscale restaurant, the legendary fado singers Amalia Rodrigues and Alfredo Marceneiro are honored in multiple images decorating the walls of the establishment. Besides nightly fado music (on the night of my visit there were four singers and three musicians performing) Adega Machado offers an extensive list of excellent Portuguese wines, and a comprehensive menu of local and international dishes, with a la cart and tasting menu options. 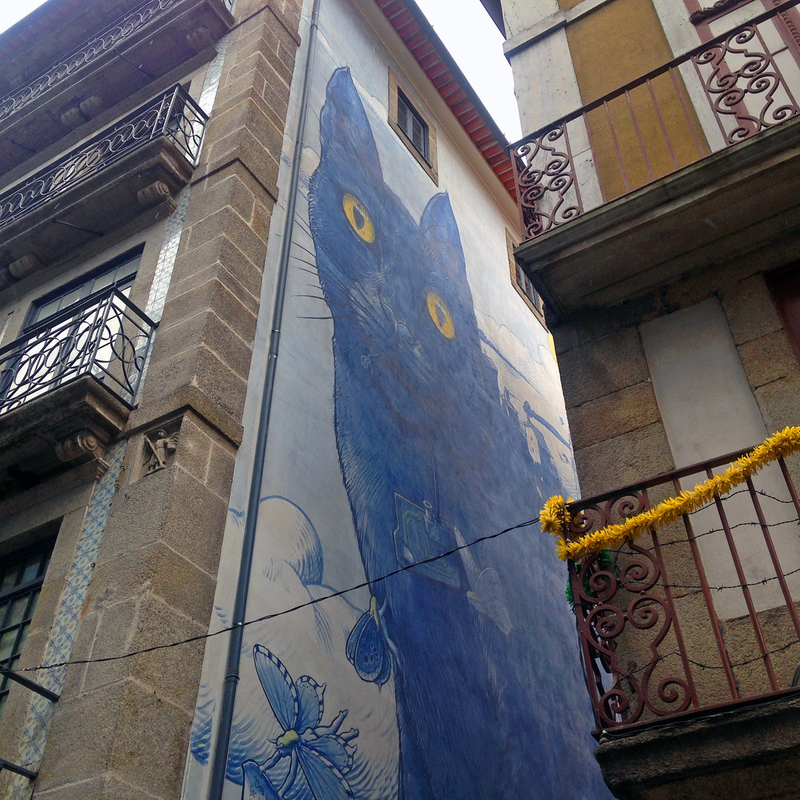 In Porto, I had a chance to experience yet another Pestana hotel – the newest, opened mere months ago A Brasileira – a gorgeous 5-star property in a posh historic downtown building with Art Nouveau décor. Minutes from the central Avenida dos Aliados and the 1916 Sao Bento train station (still lavishly decorated with murals and blue-and-white tiles of amazing craftsmanship) the hotel is a walking distance from the iconic Ribeira district with its boat rides, port cellars, and multiple little restaurants featuring Douro valley wines and live music. 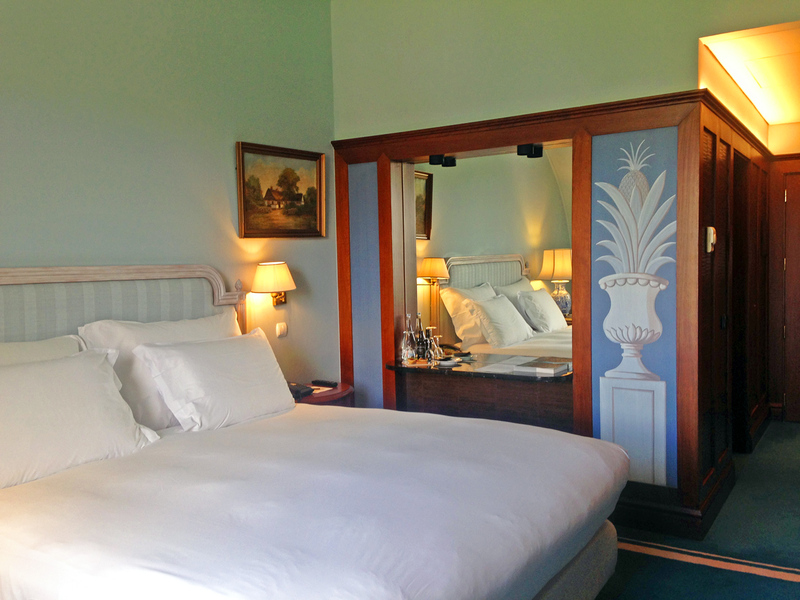 Historically, this luxury hotel was built around the famous A Brasileira Café, opened in 1903 by a Porto man who made a fortune buying coffee beans in Brazil, and married a Brazilian woman. He was the first coffee entrepreneur to serve espresso in Portugal in the early 20th century. 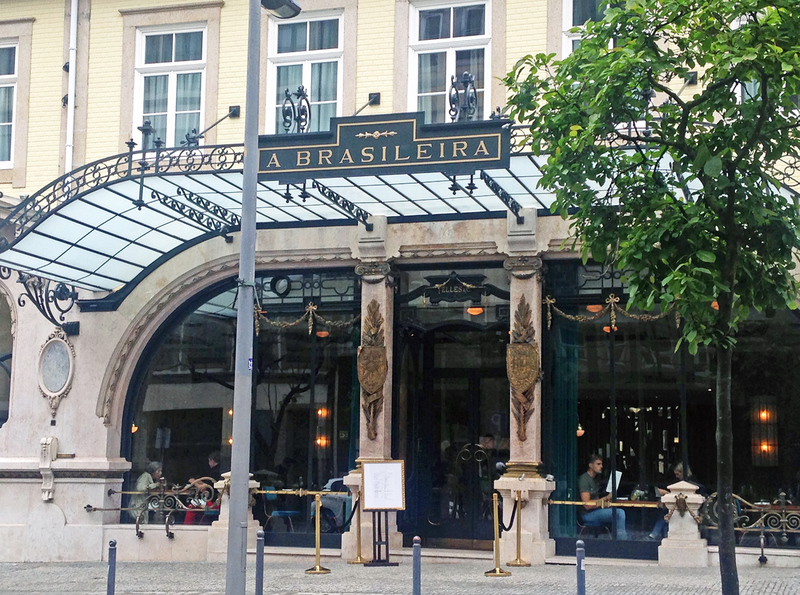 His motto, “The best coffee comes from A Brasileira” still rings true today, in the cozy café, popular with the hotel guests and the locals alike. For many years after the proprietor’s death the building stayed abandoned, until it was acquired and renovated under the new ownership and Pestana management. 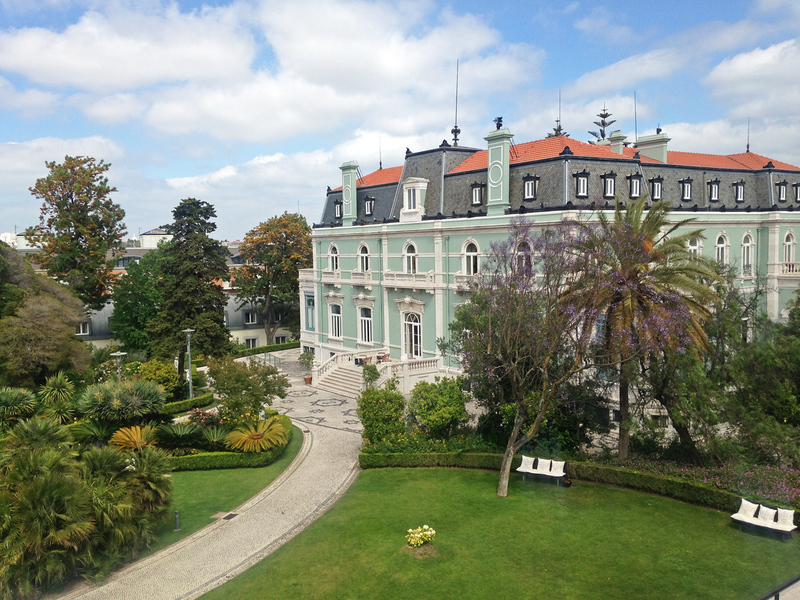 Now, with a highly desirable location in the city center, A Brasileira offers 89 rooms and suites, a restaurant serving Portuguese cuisine, two meeting rooms, a well-equipped gym, a French patio with a vertical garden and elegant outdoor furniture, and the namesake café of 115-year history. 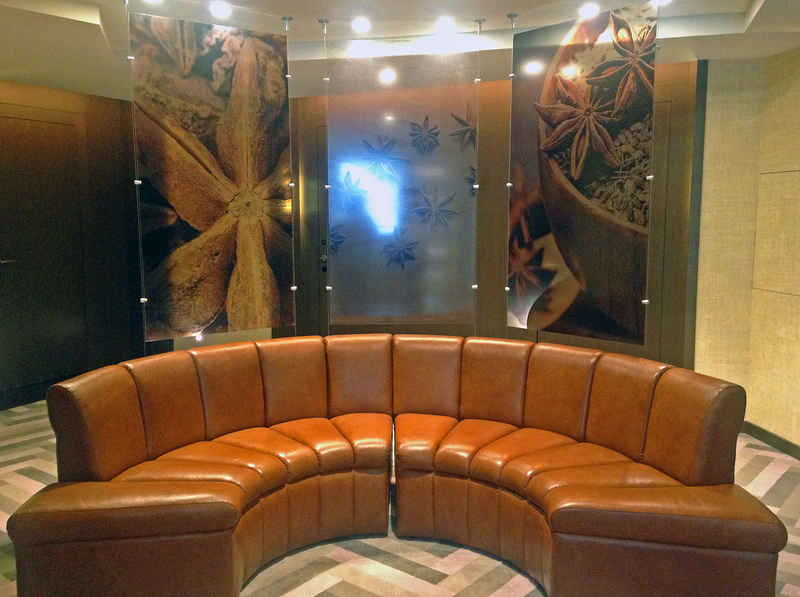 Each hotel floor that has a comfortable seating area of its own with a large horseshoe leather sofa, is thematically tied to one of the products imported from faraway lands during the Portuguese maritime expansion of the 15th and 16th centuries: coffee, tea, chocolate, pink pepper, cinnamon, and anise. I was genuinely pleased with my pristine room, with a double balcony offering views over the picturesque rooftops of Porto historical center, with the snow-white bed topped with a fluffy comforter and pillows of three different sizes, with a decorative photo display of colorful teas in bowls above the bedhead, and with a sparkling clean spacious bathroom – rain shower and all! The room amenity that impressed me the most was perched on a desk, plugged in a charger, under a large-screen interactive TV that was greeting me by name and offering an array of services. That room amenity was a smart phone with a remarkable GuestU software featuring a comprehensive interface with free internet, a list of local attractions, Google maps, an individualized concierge service, constant connection to the hotel, and even free international phone calls daily! With GuestU phone in my hand a city I’ve never been to before all of sudden became familiar, recognizable, easily navigable, and pedestrian-friendly at any hour of day or night. 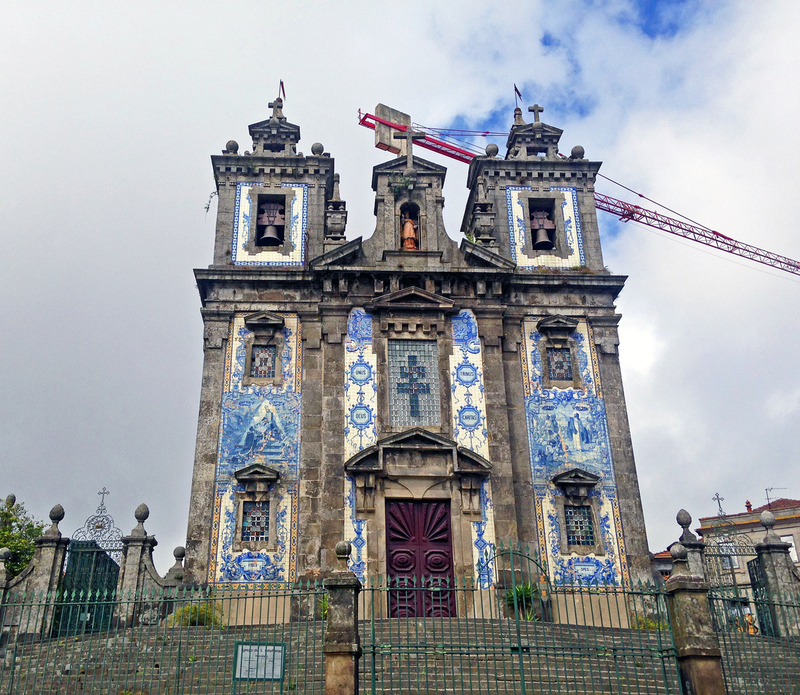 I couldn’t get enough of the Porto walks, leading up to the closely clustered Trinity Church, a magnificent City Hall building, and the Liberty Square with the stunning Carmelite Church and the Clerics Tower nearby, or down to the Douro River, with a lively waterfront, studded with historical monuments. 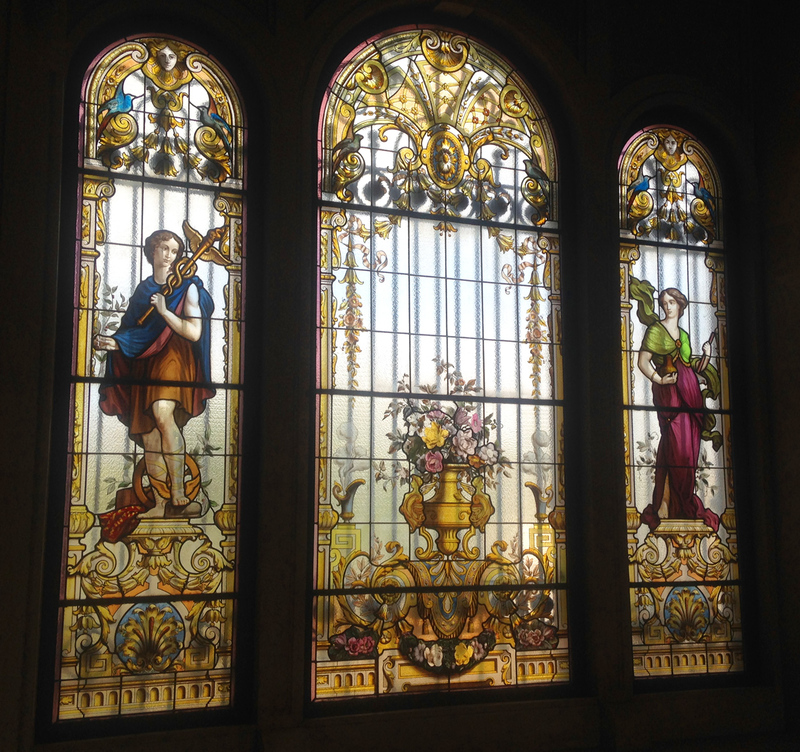 One of them, the Stock Exchange Palace (Palacio da Bolsa) is definitely worth a visit, and provides guided tours in several languages every half an hour. 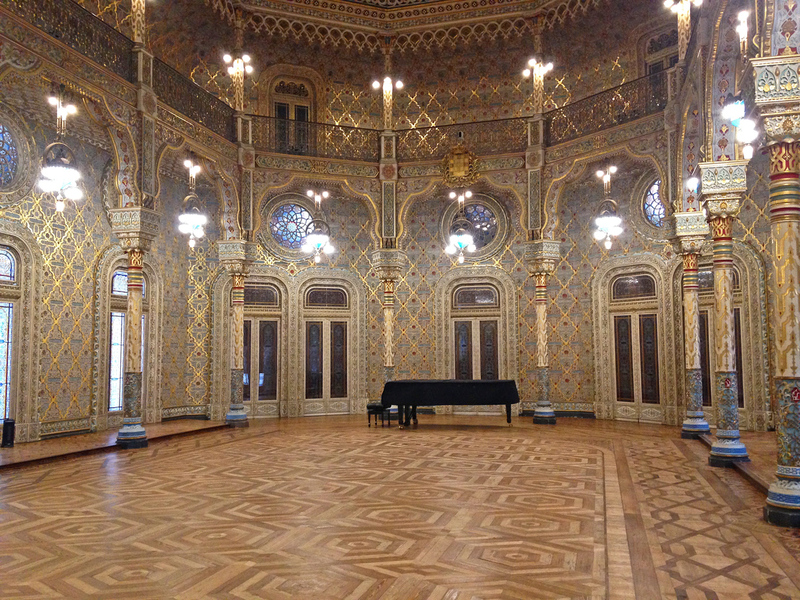 With its spectacular glass dome decorated with the painted coats-of-arms of Portugal and the countries with which Portugal had commercial relations in the 19th century, and wonderfully appointed Tribunal Room, Assembly Room, and Golden Room with allegoric paintings and sculptures the building offers quite a few discoveries. 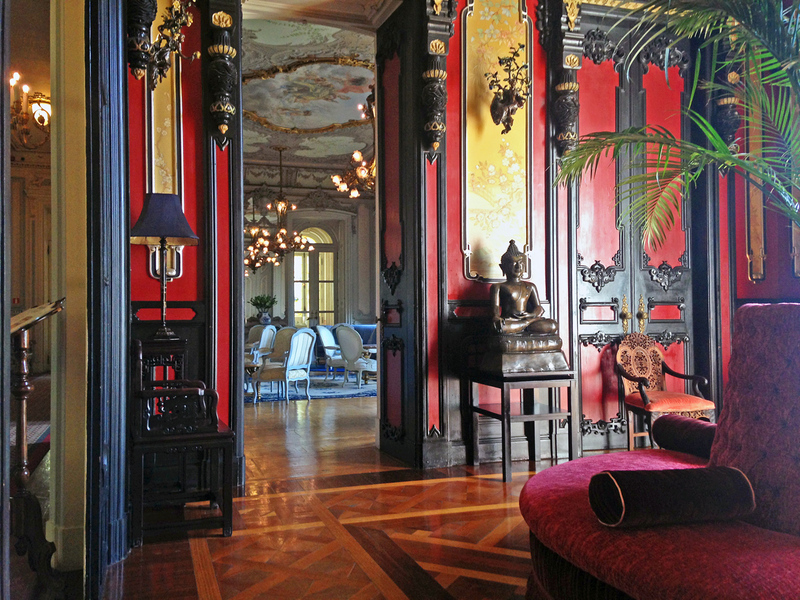 The Arab Room, built at the end of the 19th century by Gonçalves e Sousa is echoing Alhambra in Spain with its Moorish Revival style, with intricate detailing constructed by Portuguese craftsmen honoring “the Educator, the Good Mother” queen of Portugal, Maria II. Close to the lower part of the city center, mere steps from Palacio da Bolsa, on a winding side street I settled for a very pleasant evening at the O Fado restaurant that served great wines and fresh seafood, and indulged its guests with the wonderful performances by the three singers – Antonio Laranjeira, Patricia Costa, and Sandra Cristina Amaral. 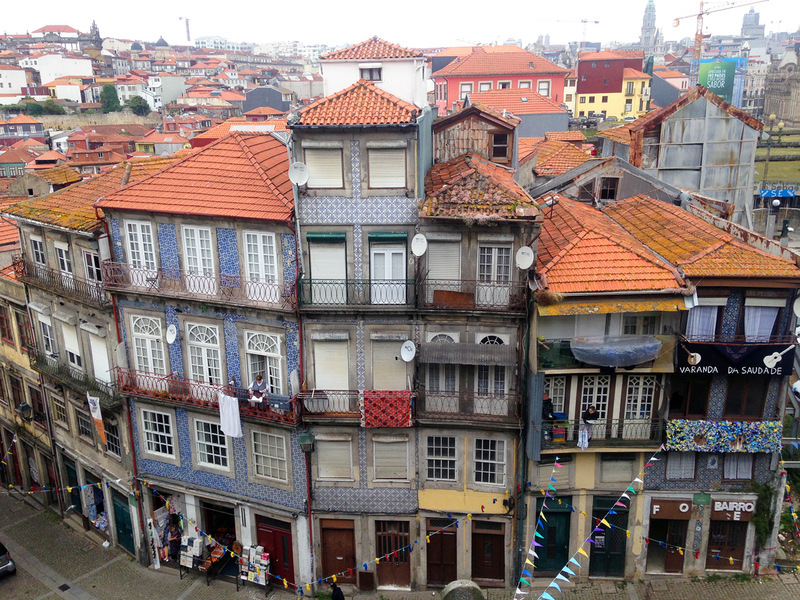 Looking back at my first ever visit to Portugal, and to the country’s two major cities I became enamored with so easily, I must admit that Pestana hotels and Fado music played a decisive role – each in its own way – in making my journey unforgettable and making me crave more encounters with the westernmost country of Europe. Additional information at: www.visitportugal.com, www.pestanacollection.com, www.adegamachado.pt.